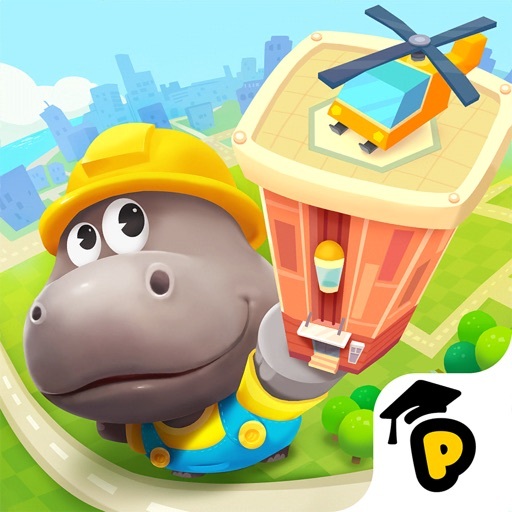 Dr Panda Hoopa City 2 game lets kids create their own cities, acting as both mayor and architect. Freedom is their friend here. Children place tiles on a patch of land to erect houses and other buildings that define the city. Part of the fun of Dn Panda Hoopa City 2 is combining tiles to construct new facilities, buildings, roads, and more. There are more than 60 structures to unlock using the eight different tiles. Although each tile is specific to a structure (the balloon tile, for example, is a playground), kids can combine tiles too. Those creations merge into bigger and more wonderful buildings in which the city’s animals can live and work. Combine the different building elements to create a new infrastructure for your city. If you are 5 years old Kid or a 13 years old boy this game will drain your energy and make you play it until you feel tired, Dr Panda Hoopa has a new issue of the dr panda games. A very attractive animal model Mr. Hoopa much-improved storytelling and design. My granddaughters are obsessed with it right now she plays it over and over every day. I enjoy this game, even though I’m older than the recommendation. I have some ideas that could be put into the game. I think it would be fun if it would save the things you change in the buildings. I also think there should be a clothing store or mall. Dr Panda Hoopa City 2 Game is one of the best iPhone games for kids and it’s certainly entertaining and educational. My 7-year-old daughter and I love it. it’s fun to see her play the game and at a young age, see her logical thinking develop while having fun. But she wishes she could drive cars, boats, trains, and airplanes and also she wish there was a switch in the settings to have it save all of her buildings when her iPhone’s locked.